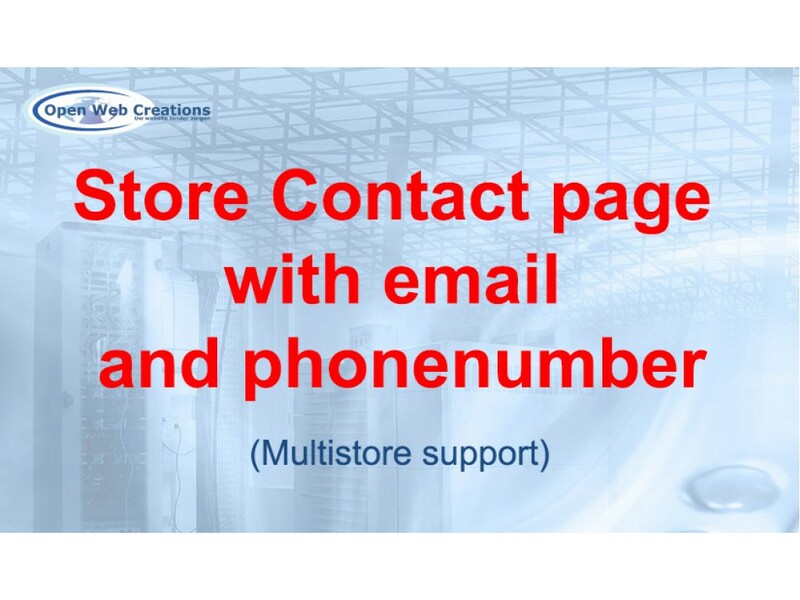 Store contact page with email and phonenumber adds the store emailaddress on your contact page, just below the store phonenumber. It also changes the title 'Telephone' into 'Contact'. 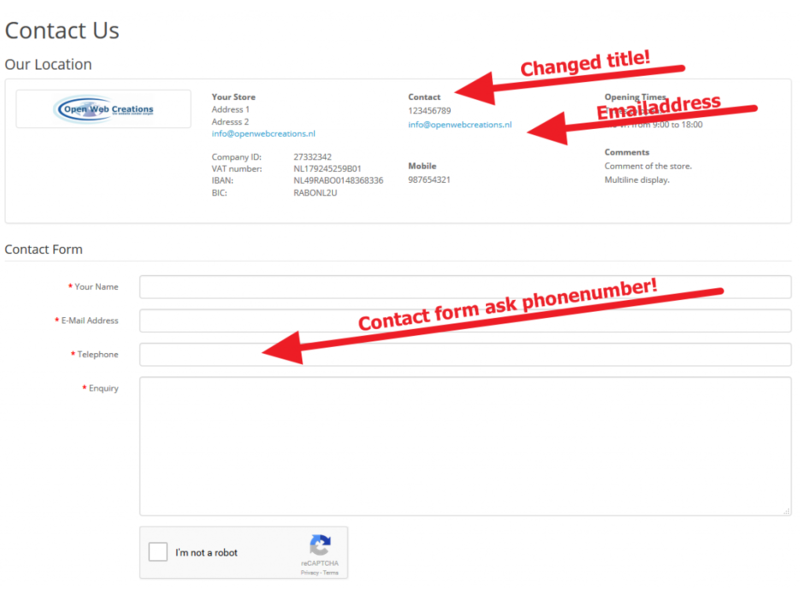 Secondly it adds an extra field 'Telephone' into the contact form which is a required. 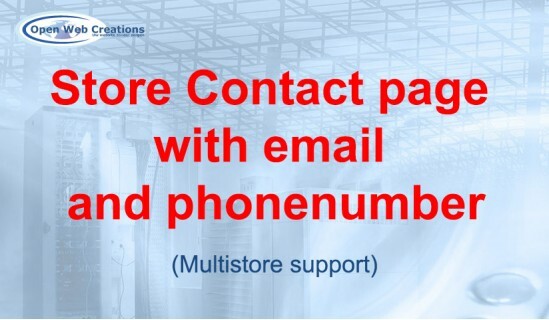 In the email sent to the store owner, this telephone number is vissible. 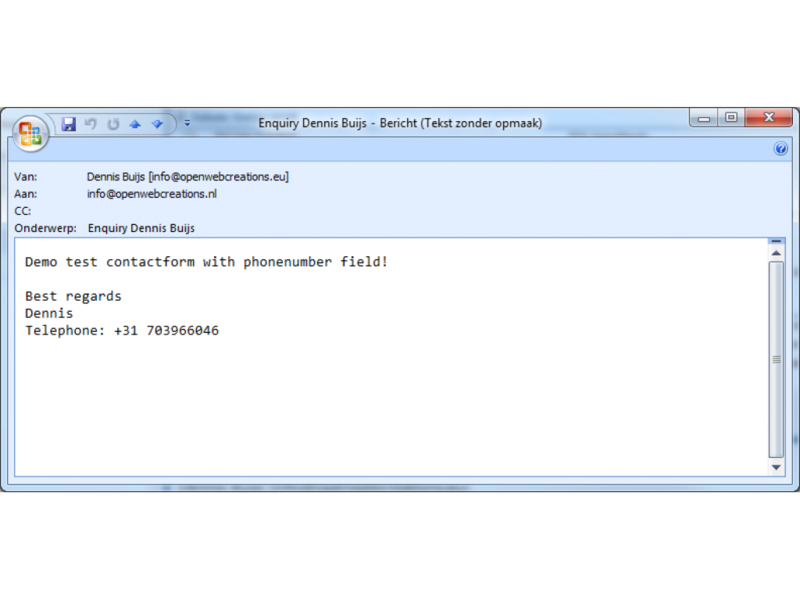 Compatibility: Contact page with email and telephone works well in OpenCart version 2.0.0.0 and above.